This summer, I became the godmother of a dear friend’s baby boy. I am so honored to be a godmother, and it's extra special that he is such an adorable, and obviously brilliant, seven-month old darling boy. 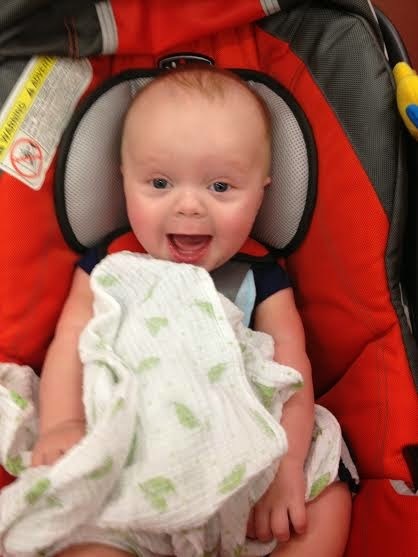 Now that I am his godmother, there will be even more reason to take Amtrak down to visit him and his parents. While I used to visit his mother only once a year or less, I know that I will want to get down there much more often in the future. Since I don’t have a car, either flying or Amtrak are the easiest options that will bring me close to their house, so I was very interested to learn that Amtrak prices its seats in a way that is similar to airlines. I think it’s pretty common knowledge that airline tickets often get more expensive closer to the date of travel and around the holidays. The increased demand for tickets is the cited reason, which is not entirely unreasonable. But did you know that Amtrak uses a similar philosophy? I was quite surprised to learn that if one purchases her train tickets more than two weeks in advance, she can often get prices that are nearly a third of what she may consider to be the normal ticket price. Unlike airlines, Amtrak limits the number of these seats at this price, so the earlier one can purchase a ticket the better. The only catch is that the ticket cannot be refunded, but Amtrak will allow for these tickets, called Saver Fares, to be exchanged for credit towards future Amtrak travel, so even if a trip is changed, it's not a total loss. Just be sure to make the request before the train departs -- once the train has left the station, so has one's credit, as that's when all Amtrak tickets become non-refundable. Knowing there was no way I'd miss the baptism, I figured I didn't have to worry about returning or exchanging my ticket, so purchased early enough to pay a total of $124. Out of curiosity, I checked the ticket prices again the day I was scheduled to leave, and the total for my trip would have been $204 if I had waited. I saved $80 by booking my ticket in advance. So if a trip is planned and is unlikely to be changed, or exchanging for a voucher is acceptable, booking an Amtrak Saver Fare ticket in advance is a great choice.